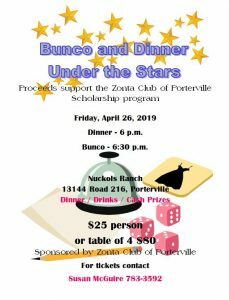 The Zonta Club of Porterville launched the “Zonta Says NO” campaign in 2013 in conjunction with Zonta International. “Zonta Says NO” is a campaign to raise awareness of and increase actions to end violence against women and girls. 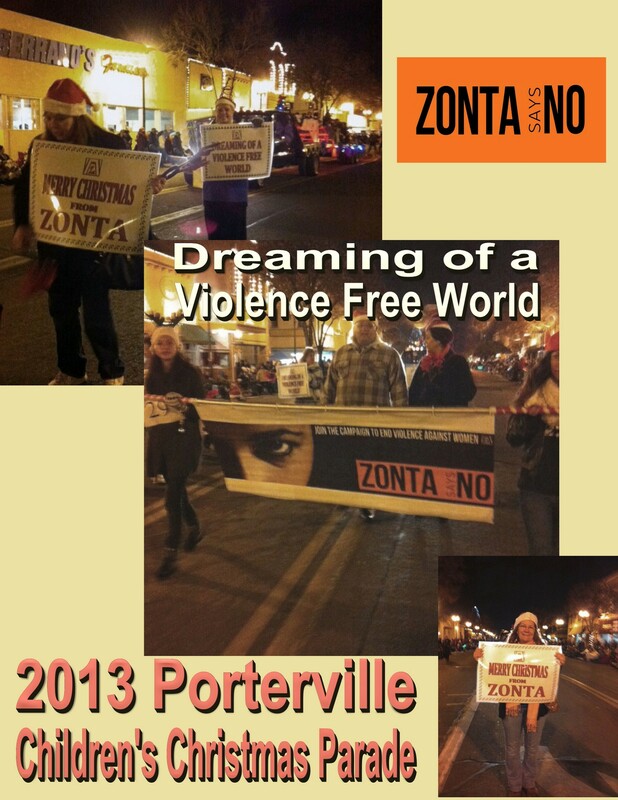 To bring that awareness to the community, the Zonta Club of Porterville participated in 16 Days of Activism by marching in the Porterville Annual Children’s Christmas Parade with a huge banner promoting the campaign, delivered public service announcements on a local radio station and presented the Traveling Shoe Display at various sites in Porterville. Some of those sites were Porterville City Hall, Porterville College, Galaxy Theater, Holy Cross Church, Sequoia Medical Center, In Shape Gym, Treasures Thrift Store and Tulare County Employment Connection. The Zonta Club of Porterville’s Zisvaw and Advocacy committees plan to continue the “Zonta Says NO” campaign in 2014-15 concentrating on human trafficking awareness. March 2019 Program Flyer Social at 5:30 p.m. Dinner at 6:00 p.m.